A mobile oriended web app, to see your public IP, geolocation based on IP, possible Proxy HTTP Headers and the user agent string. Using edge mobile web standards, such as HTML5, jQuery Mobile etc., provide a smooth and rock-solid Touch-Optimized experience for all popular mobile device platforms. Also it use the webcache API for reduce network data usage. 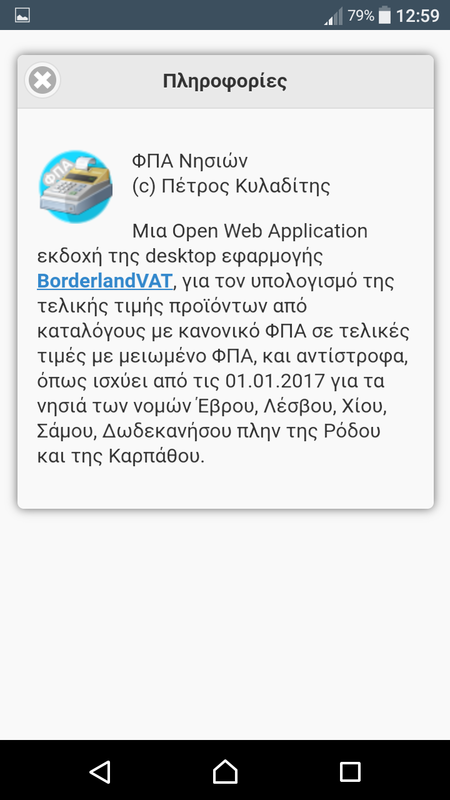 A mobile version of the application BorderlandVAT. Using edge mobile web standards, such as HTML5, jQuery Mobile etc., provide a smooth and rock-solid Touch-Optimized experience for all popular mobile device platforms. Also it use the webcache API, so it can run at offline mode with the full capabilities. 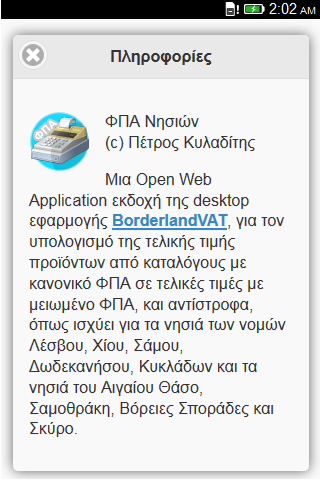 For updates and more information see at the BorderlandVAT (ΦΠΑ Νησιών) homepage. 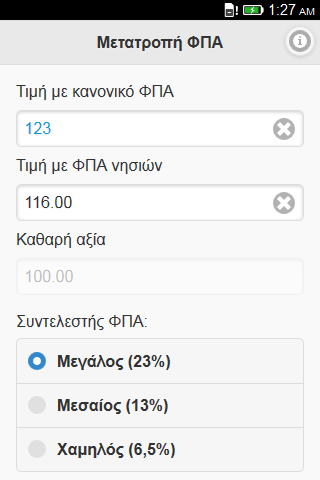 BorderlandVAT (ΦΠΑ Νησιών) is now available at the Firefox Marketplace for Firefox OS and Firefox for Android. aWallet and aWallet Cloud are two powerfull android password managers. The first one is free and the second is a paid application. Except sacurely password storing and managing, you can create backups or export data in CSV format. Also with the aWallet Cloud you can sync your password data securely between devices in cooperation with major cloud storage services such as Dropbox and Google Drive. 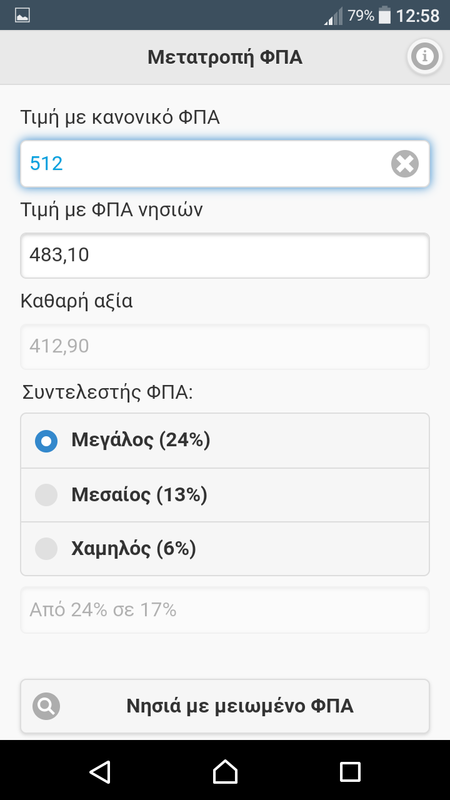 From the version 3.4.2 of aWallet and from the next update of aWallet Cloud I proudly contributing to the project, by making the Greek localization. For more info, see at the Localization Project’s Page. ZArchiver is an android application to manage archives. It’s great not only as an archiver, but also as an android file manager. 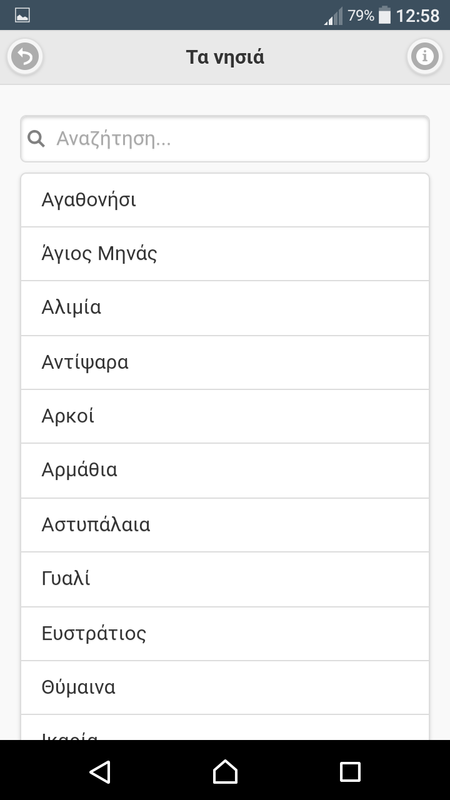 From the version 0.6.6 I contribute to the project, making the Greek localization. For more info see at the Localization Project’s Page. Turbo Client is an FTP and SFTP client for Android. Builted following the latest Android guidelines that creates a sleek and intuitive experience. 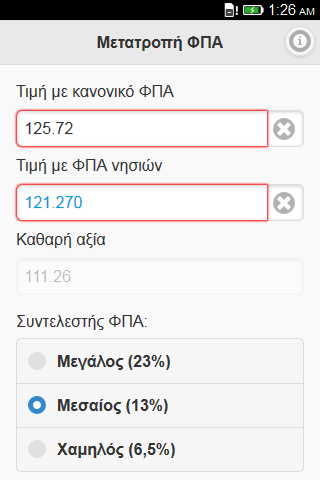 From the version 1.7, I contribute to the project, making the greek localization. Forget OVI manager, computer connection or OTA sync. The easiest way to migrate your contacts list from S60 to android is by select all contacts (from the S60 contacts menu) and copying them to memory card. After that eject the microSD from S60 and pluged in your Android device. Go to android contacts menu and select to import all contact files founded in memory card. 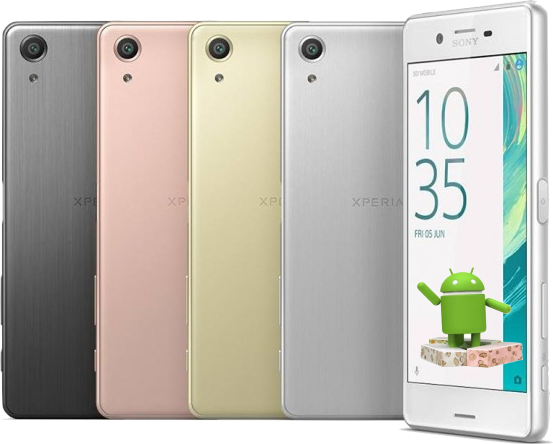 If your S60 does not have memory card but only internal massive memory (N97, N95 etc.) after the copying contacts to massive memory, go to ‘other’ forder from file manager, select all .cvs files and send them via bluetooth to your android device. 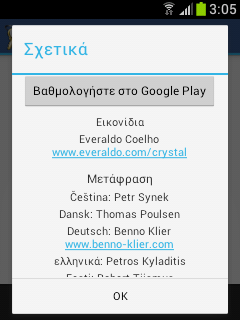 After select search and import contacts from android’s microSD.